Because that is so important, it is wise to spend money keeping this investment in good condition. The national average spent on a new roof is about $6,600 including installation. 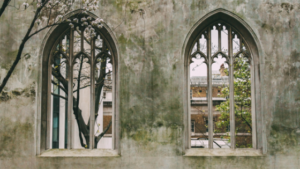 While most roofs are designed to last for decades, there are contributing factors that may require you to replace it much sooner. Maintenance is an important part of longevity and lowers cost when it comes to getting the most coverage from your roof. You may be thinking about a new roof because you see stains and streaking on your current roof. The stains lead you to believe it’s time for replacement, even if the roof is only 10 years old. Keep in mind that the staining may be from Gloeocapsa Magma Algae. If it is algae, it is treatable through a Soft Wash cleaning instead of the costly venture of replacing the entire roof. Consider all factors involved. An estimate from a roofer for the new roof will involve a quote based on square footage of the roof. Of course, this not address issues that may come up during the project such as ventilation and gutters that raise the cost of your new roof. Even though your roof is designed to last for decades, proper maintenance will help lengthen the life and save you money. A well-maintained roof will help to keep the market value and curb appeal of the home at its peak. A clean roof will also save you money on energy cost and provide you the peace of mind that your roof is free from issues. Asphalt roof shingles are the most common type and a safe haven for Gloeocapsa Magma Algae. It is important to clean algae off your roof because as the algae colonize it causes fissures and cracks in the shingles while it eats the organic material to continue its growth. This will shorten the life of your roof and cost you more money in cooling your home in the summer. 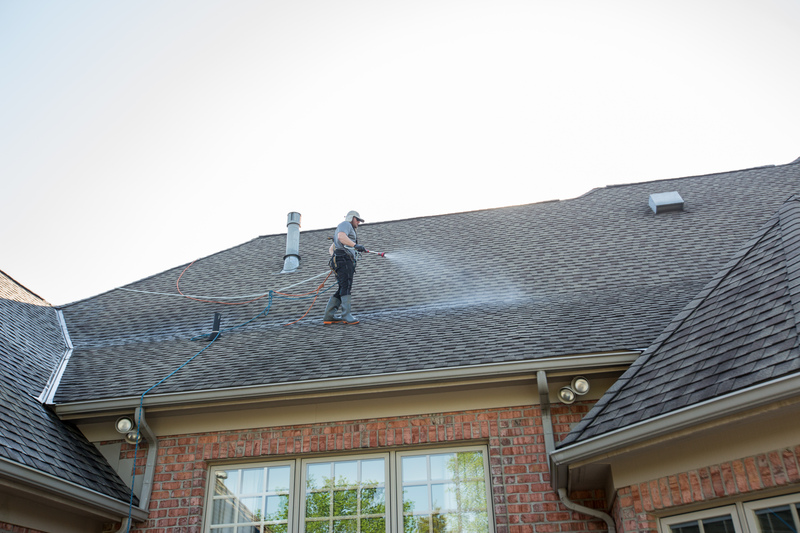 While cleaning your roof is important, it is more important to know that gently cleaning the shingles is a priority and power washing would destroy shingles and shorten the roof’s lifespan. The average cost of the IDW Soft Wash is $500-800 depending on the size, slope and algae growth on your roof. This cost is far less than the thousands it requires to replace the roof. Our system does not involve pressure washing but rather we use Eco-friendly chemicals to gently remove the algae from your roof. 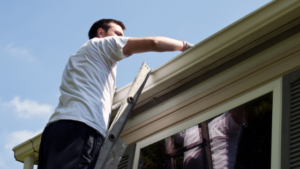 This inexpensive treatment will provide you with a clean roof that looks great! Contact us for more information on the Soft Wash process and receive an estimate for your roof cleaning today!